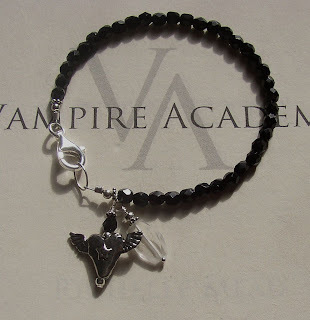 As you know there are some particular pieces of jewelry that are mentioned in the Vampire Academy books, and that also plays a role in the story. For those of you that have been wanting to find a place to buy some Vampire Academy inspired jewelry there is a wonderful Etsy shop run by Psynde. The shop is called Cemetary Cat Designs and most of her jewelry designs are literary based. 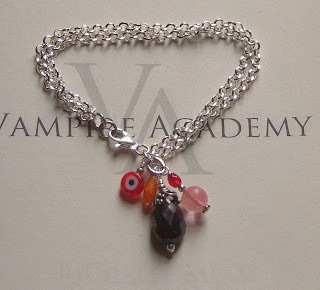 I first learned about Psynde in a blog post on ShadowKissed.net where they announced that she had released a jewelry collection inspired by the Vampire Academy Books. This was done in collaboration with Richelle Mead, who announced it on her twitter and who also named the pieces herself. The first piece is Rose's Nazar necklace, the one her mother gives her. The second piece is her Chotki that is a present from Lissa. This bracelet is representative of the fire element. And the final bracelet I chose as an example of all the beautiful jewelry that Psynde designs is this, Adrian's Heart bracelet. 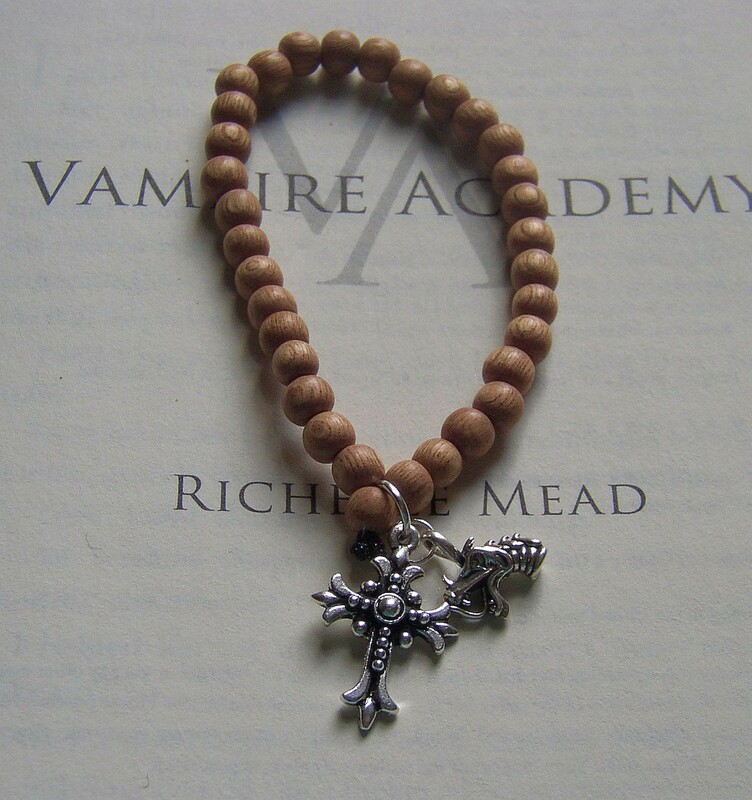 As I mentioned, Psynde has a lot of different designs in her Etsy shop, but If you want to check out the Vampire Academy inspired jewelry specifically, click here. I was curious as to how the collaboration between Psynde and Richelle began, so I went on a search for more information and found this very interesting interview that Wicked Little Pixie did with her. In it we find out that her real name is Synde (pronounced like Cindy) and that she originally met Richelle through book signings with Team Seattle. In that interview you can also see a picture of a beautiful necklace called Siberian Tears. Psynde is also on twitter. You can find her here. 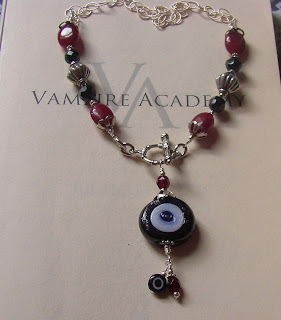 So what do you think of the Vampire Academy inspired jewelry? Isn't it beautiful? Cemetery Cat Designs are having free shipping all through May, so this is a great opportunity if you're thinking of ordering one of her pieces. I'm not sure whether the free shipping applies worldwide or just the US. These are not bracelets that are found in the books, they are symbolic for the characters as interpreted by Synde. I'm wanting to get a bracelet, however when I go to her site there's no VA jewelry! I AM IN LOVE WITH THESE BOOKS!!!!! I cant wait for more!!!!!! Rose has a heart necklace ...taken from Jill by Sonya when she makes a charm out of it to keep Rose stable. But still no bracelet.